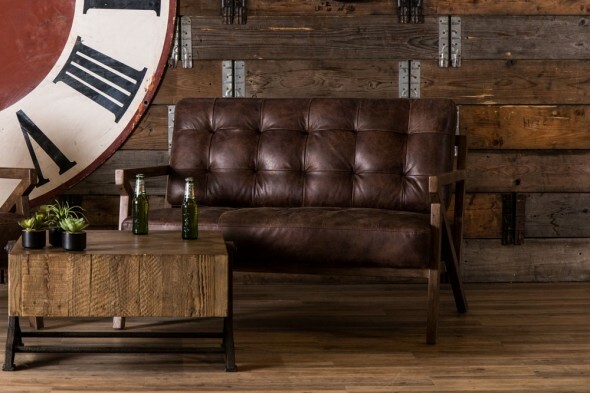 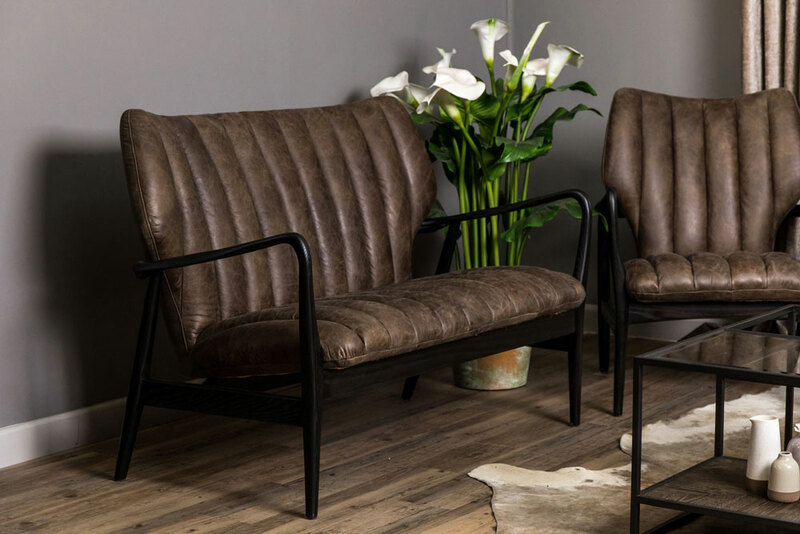 Add vintage style to your home or business with our ‘Ludlow’ mid-century style sofa. 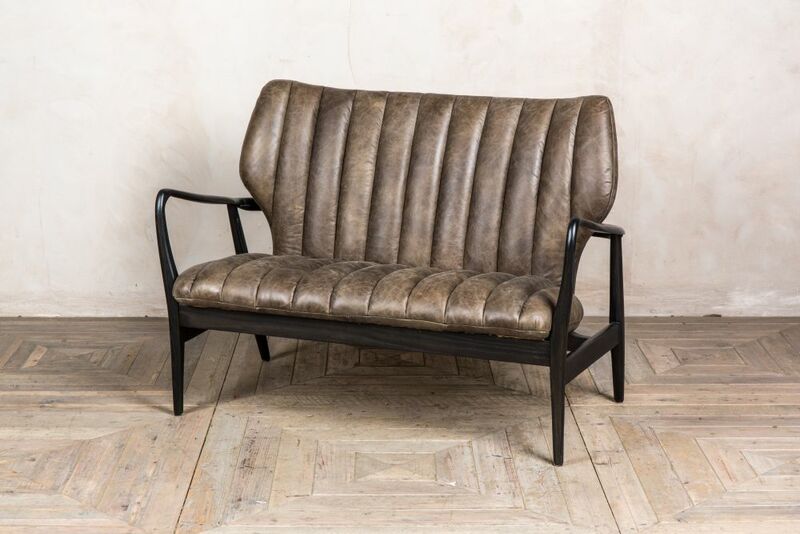 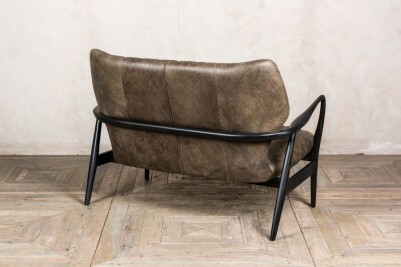 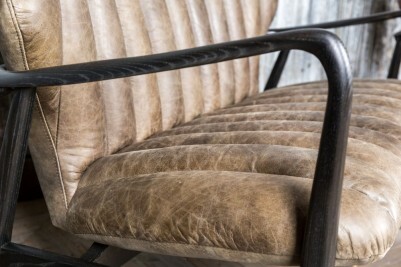 The sofa has a stunning wing backed design and ribbed stitching. 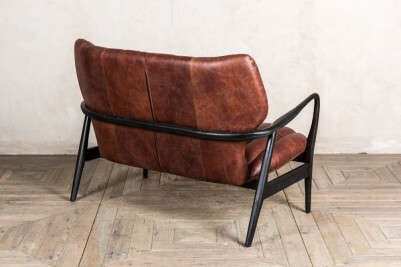 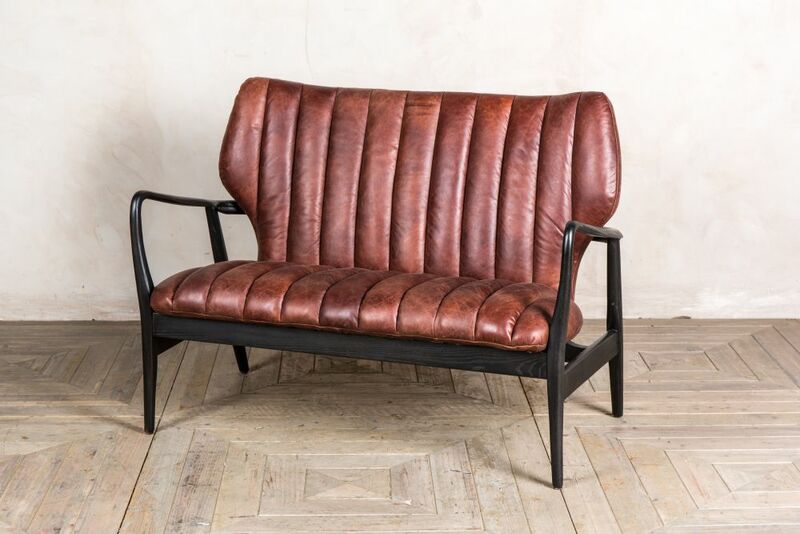 This two-seater sofa is available in conker brown and chestnut leather. 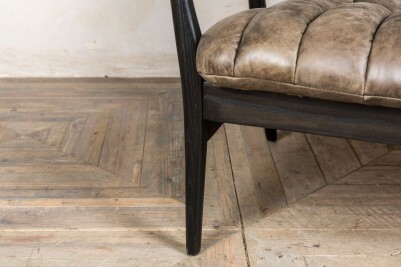 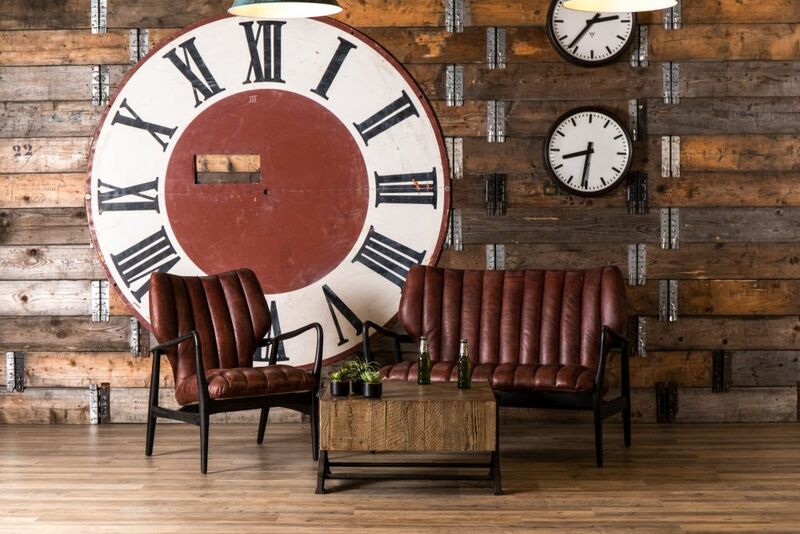 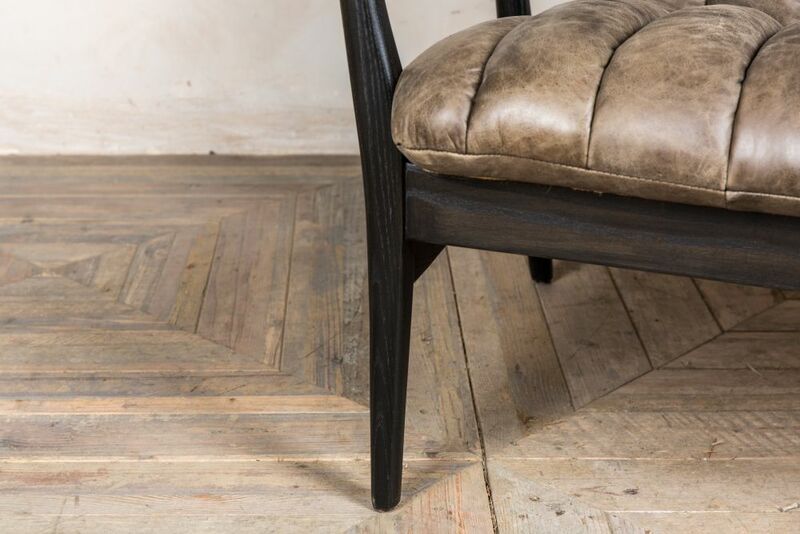 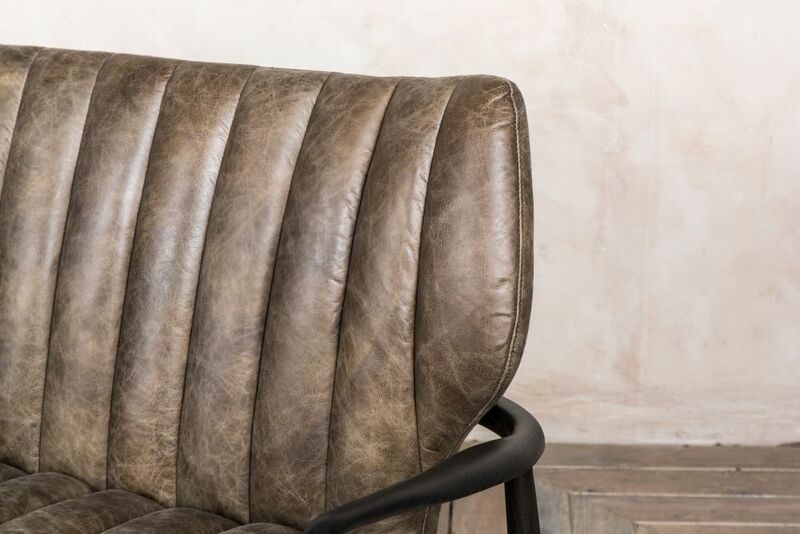 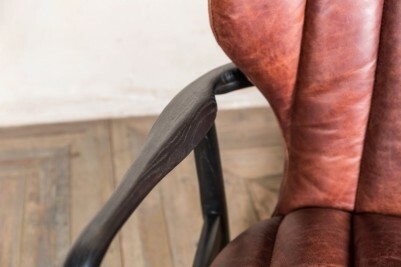 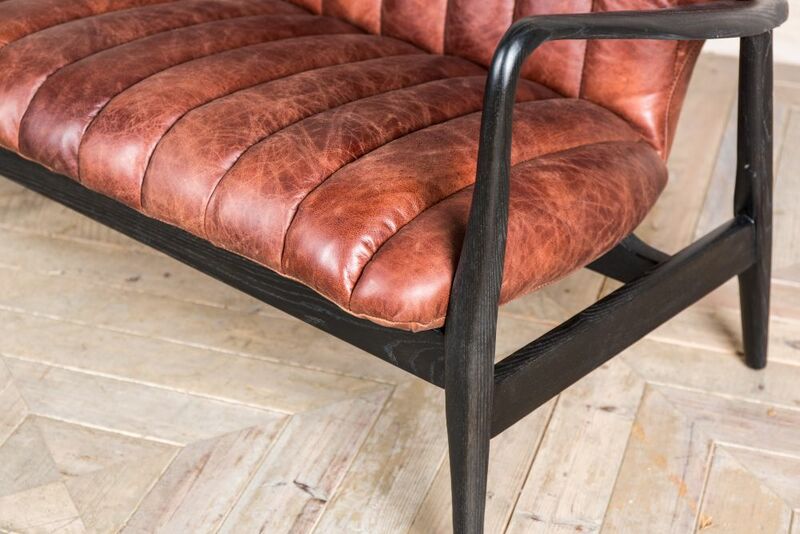 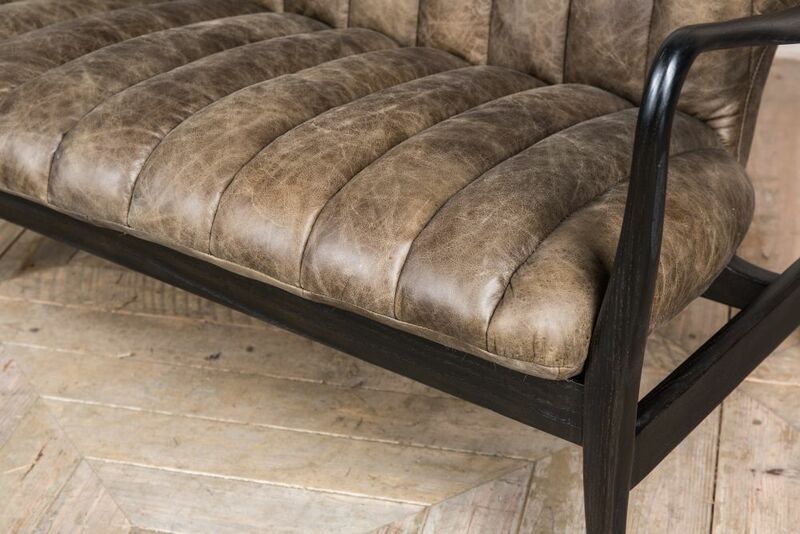 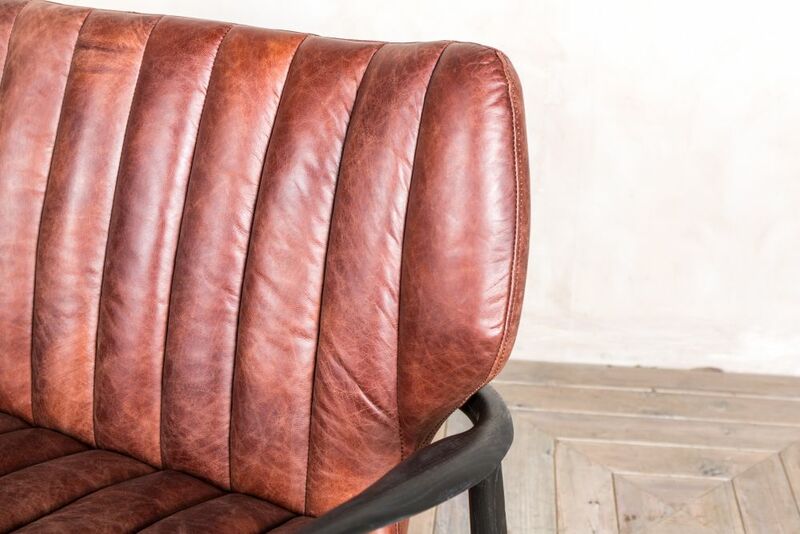 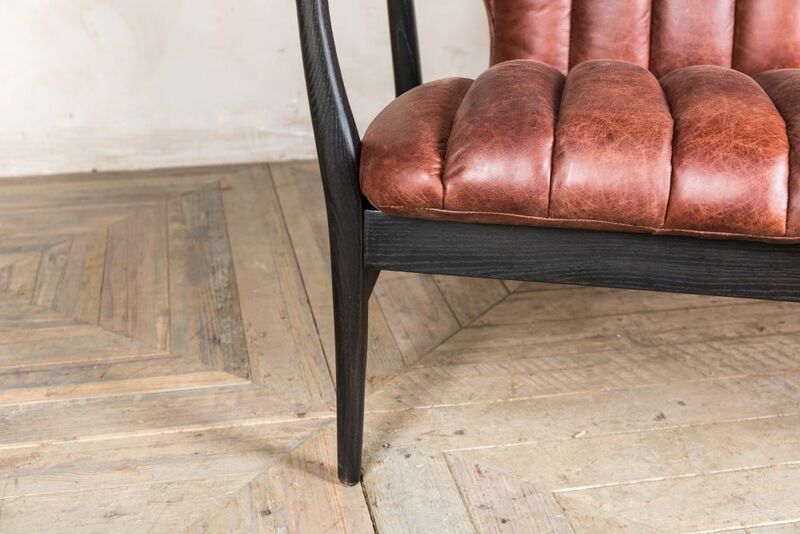 The conker brown ‘Ludlow’ chair has an aged appearance, giving it an authentic vintage look. The ‘Ludlow’ chair in chestnut has a red tinge, and a shinier patina compared to the conker brown version. 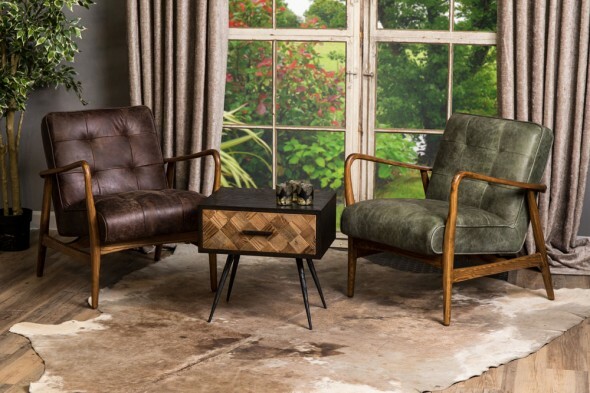 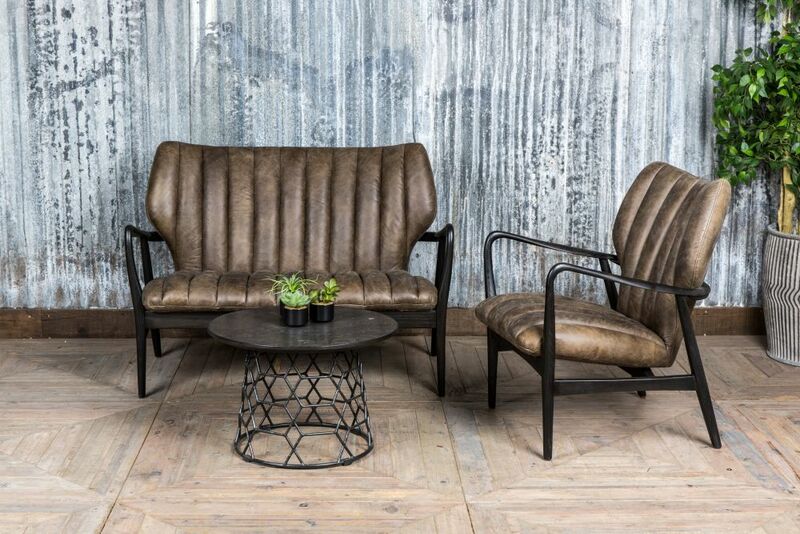 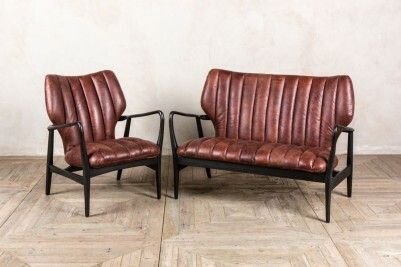 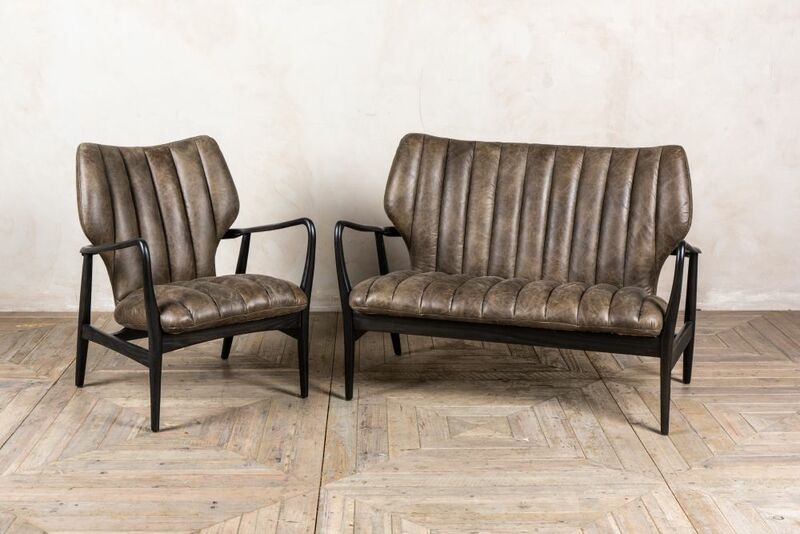 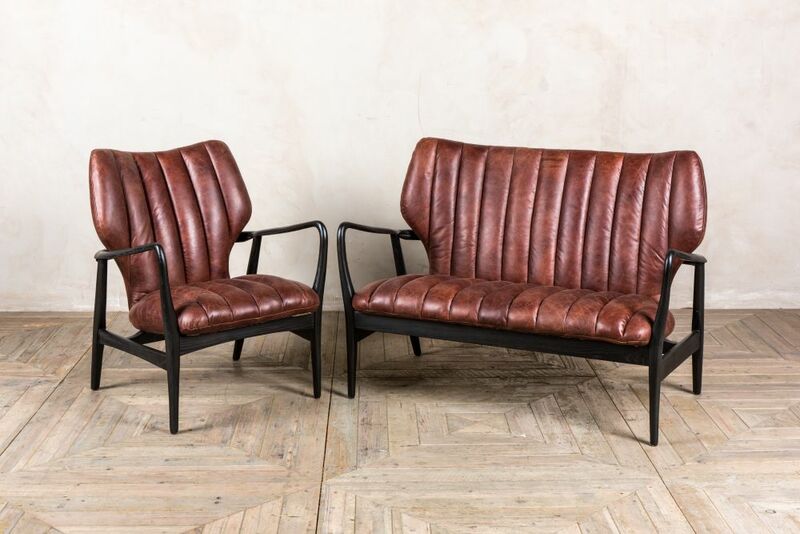 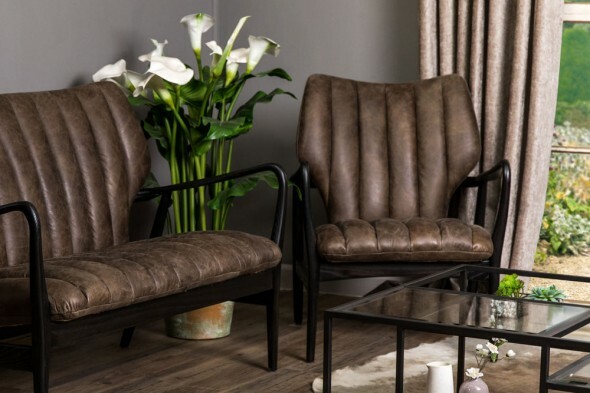 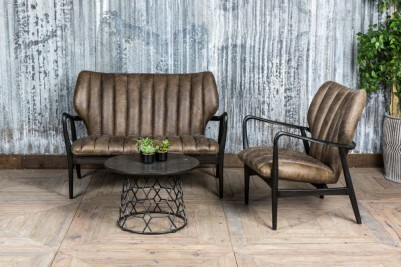 The ‘Ludlow’ would make a fantastic statement piece in a vintage inspired space; why not pair it with the ‘Ludlow’ armchair?